For a long time I've been intrigued by an IPA symbol, reversed e. It apears in the middle of the vowel chart and is described as a close-mid central unrounded vowel. I bought the IPA Handbook hoping I would get a proper explanation of it, but the book simply repeats what I already knew about it. Unfortunately it does not give an example of its use. Can this symbol be used for any English word? Could you give me example? closer than the corresponding English sound. However, since there is no contrast among short mid central vowels, we normally write ə no matter what the precise vowel height. Considerably later (I speak from memory, since I do not have access to books today) Jones added the two close central vowels to fill the gap between i and u, y and ɯ, namely ɨ and ʉ. Their inclusion is justified by languages such as Russian, which needs the symbol ɨ, and Swedish, which needs ʉ. But Jones never defined any non-peripheral cardinal vowels. For most languages there is at most one mid central vowel, which can be adequately represented by the schwa symbol, ə, which has always been rather vaguely defined. A few languages have two mid central vowels. German and Danish distinguish a higher/closer ə (as in German bitte ˈbɪtə) from a lower/opener ɐ (as in German bitter ˈbɪtɐ). Non-rhotic English distinguishes a strong long ɜː (as in the noun insert ˈɪnsɜːt) from the weak short ə (as in the noun concert ˈkɒnsət). English and German justify the presence on the chart of two other non-peripheral lax vowel symbols, ɪ and ʊ. Certain other languages (e.g. Dutch) may need the symbol ɵ. But as far as I can see we don’t need ɘ and we don’t need ɞ. The only reason to include them on the chart is a desire to label every intersection of lines on the chart, rounded and unrounded. We have never taught the symbols ɘ and ɞ or drilled the corresponding sounds at UCL. I wonder if students have been taught them and drilled on them anywhere else. I suspect not. Ah, but ɞ is justified by having the most delightfully paradoxical of Unicode names, LATIN SMALL LETTER CLOSED OPEN E, where CLOSED is typographical and OPEN articulatory in sense. Unicode 1.0 rather more plausibly called it LATIN SMALL LETTER CLOSED EPSILON, but that name was lost when Unicode merged with ISO 10646. We were taught those two symbols, but never even hazarded a guess as to what they might sound like. It was just something to memorize. Then again, there were several "British" vowels (like turned-typed-a) we Americans also rarely ventured to try. lœ̃ də lœr dø ʒən mənœr sə ərt a œ̃ rəfy. Thanks: sorry you had difficulty posting these symbols on blogspot. If you specifically wanted to show the roundedness of French schwa you could use the symbol ɵ instead of ə.
I've not explicitly drilled these sounds with students but nevertheless I find many of them very useful in making narrow, impressionistic transcriptions (i.e. of the sort which are theoretically agnostic with regards to the particular contrasts of a particular language). There are only so many diacritics one can stack on a symbol before it becomes useful to have another base symbol! I suspect problems arise because of the nature of the IPA chart as a sort of compromise/conflict between use in phonological situations (such as marking contrast) and use in phonetic situations (such as attempting to record as much detail as is observable). I think this compromise/conflict is brought out quite nicely in your post, since you say both [ɘ] "is a possible allophone of English ə" and "as far as I can see we don't need ɘ". I suspect we practical phoneticians have to live with this sort of compromise/conflict, just as we have to live with the relative ease of learning and writing alphabetic IPA symbols (as opposed to some sort of Visible Speech-type system) when it would be theoretically quite possible to have a system (such as Visible Speech) which is much more systematic and would force students to disassociate sound from letters much more than is the case now, when many of our symbols appear (at least to the student) just to be letters. Thank you so much ! From now on, I'll be using (and promoting) the barred o symbol for the rounded schwa of French (when it comes to contrasting it with the schwas of the other languages). I have just seen some writers of fr.wikipedia in the Prononciation_du_Français article have actually mentioned some "de/deux" merging in process in some dialects; however, for the dialects that round the schwa without merging "de/deux", nobody has thought of resorting to the IPA barred o symbol there yet. PS: running FireFox3/Vista, I cannot copy/paste anything into the blogspot comment field, nor do my arrow-keys work there. Am I missing something? As a theatre accent coach, and thus as one who uses and teaches the IPA primarily for very narrow phonetic transcription, [ɘ] has always seemed to me to be an excellent choice to describe the way most Americans pronounce the NURSE set (with rhoticity, of courseː [ɘ˞]). The symbol [ɜ˞] is what is nearly universally used, of course. Although this is phonemically adequate, I find it extremely useful to be able to distinguish for my students the difference between RP NURSE vowel and the General American one. Rhoticity is not the only difference -- the tongue position is clearly higher for most Americans. I have seen [ɘ] used to transcribe the New Zealand pronunciation of the KIT vowel. I don't know if I especially like the transcription, but it does say "(much) more mid-centralised than the regular [ɪ], but distinct (by virtue of stress) from the unstressed vowel [ə]". Whether that's the sort of thing you want your transcription to say, I suppose, depends on what you're using your transcription for. Good-ish for a comparison of dialects (but pictures would be more useful), bad for a pronunciation dictionary. 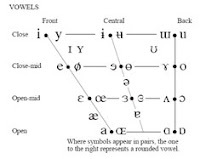 I happen to be a bit of a vowel maniac (these days finishing my PhD dissertation at UCLA linguistics, on vowel inventory acoustic typology), so I obviously found myself pondering about these vowels in the past, and a bit more actually. Bavarian and Norman both have a four-way contrast between front-rounded vowels, thus making a good case for /OE/ as a phoneme, although technically /Y/ solves the need (/y Y o' oe/), and indeed /OE/ is used for Bavarian, but not for Norman, and in neither language does the vowel in question reach F1 above 600Hz for male speakers.